ALMA, N.Y.----John Orlando “Jack” McCumber, 80, of Alma, passed away in his home with his wife by his side on Monday, February 4, 2019, after a short battle with pancreatic cancer. Born on July 18, 1938 in Conneaut, Ohio, he was a son of Andrew Jackson McCumber and Jennie “Marie” VonWie McCumber. On May 14, 2005 in Alma, he married Darlene M. Green, who survives. Jack was a graduate of Newbury (Ohio) High School where he played football. Jack served in the U.S. Army Reserves and the Army National Guard. His first job as a teenager was as a driver for Senator John Boehner in Ohio. He was employed as a truck driver for Manfredi Trucking in Newbury, Ohio, Rimes Trucking in Chardon, Ohio, and lastly by Short’s Oil and Propane in Wellsville until retiring in 2000. 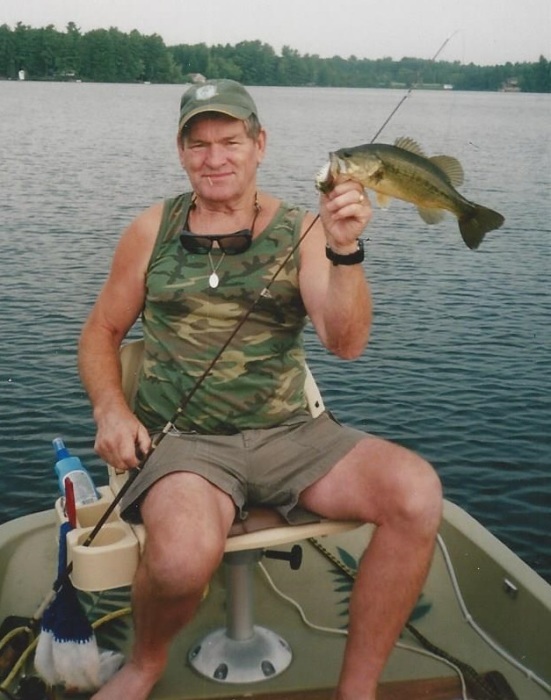 An avid outdoorsman, Jack loved all wildlife. He also loved to hunt, fish, trap, and anything pertaining to the outdoors. He enjoyed snowmobiling, 3 and 4 wheeling, dirt bikes, motorcycles, boating, and vacationing in Canada. An avid runner, Jack ran in several marathons. He loved to entertain, dance, listen to all kinds of music, and cooking for his friends. He also loved his dogs, Missy and Hoochie. Surviving besides his wife are a daughter, Kim McCumber Lorenz of Chardon, Ohio; a son, John McCumber of Cherry Valley, Ohio; a stepdaughter, Elizabeth (Jason) Nikkel of Georgia; a granddaughter, Jessica McCumber of North Carolina; six step-grandchildren; two sisters, Mary Jane Stemmer of Chardon, Ohio and Marie Crooks of Erie; and several nieces and nephews, including Debbie Stemmer of Chardon, Ohio. In addition to his parents, Jack was predeceased by Blackie and Rosemary Blackington of Newbury, who lovingly raised Jack and his sister, Mary Jane; a son, Todd McCumber; a stepson, Tim Crowder; a sister, Patty McCumber; and a brother, Andy McCumber. Family and friends are invited to attend a celebration of Jack’s life at 1pm on Sunday, February 10, 2019, at the Virgil L. Howard Funeral Home, 118 South Union Street, Shinglehouse, Pa. Pastor Thomas Isaacson of Grace Bible Independent Baptist Church, Shinglehouse, will officiate. In lieu of flowers, memorials may be made to the SPCA Serving Allegany County, 1374 NY-19, Wellsville, NY 14895. Jack’s family has entrusted his care and cremation arrangements to Kevin J. Dusenbury, funeral director/owner of the Virgil L. Howard Funeral Home, Shinglehouse.